You may or may not know that I’ve been on a teeth whitening journey for quite some time now. In the past I’ve shared my experiences with oil pulling and activated coconut charcoal powder, without major results. I’ve also tried Crest White Strips, but they just don’t stay in place; and while all of these attempts at whitening my teeth didn’t deter me from trying more, I had lost all hope in at-home products and was ready to go to the dentist for professional help. My sister visits Dentist Fort Wayne and she says it’s amazing so I nearly made an appointment there. But before I even got the opportunity to make an appointment, I discovered Smile Brilliant. Coffee and tea are staples in my everyday life, but they come with a price – stained teeth. 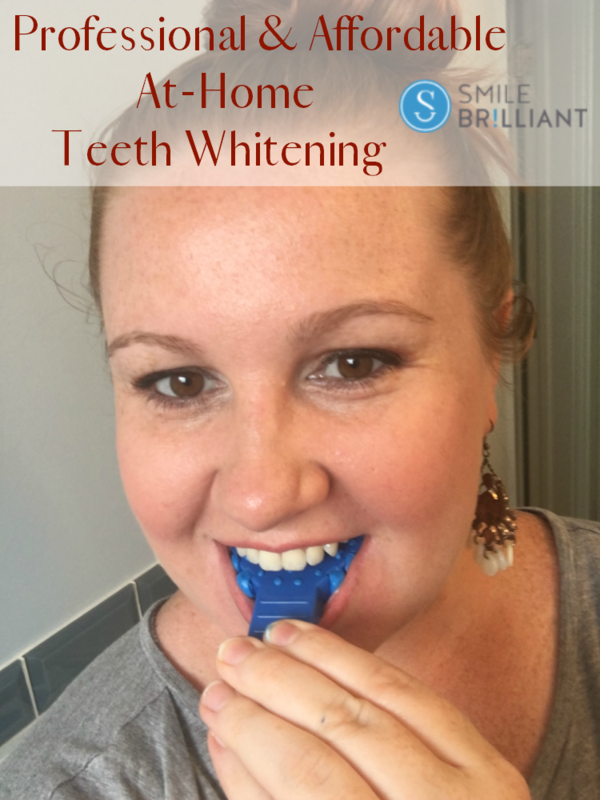 None of the at-home products I’ve tried in the past have provided the results I want, but I kept trying them in an attempt to avoid costly professional whitening services. Just before I was ready to make that dentist’s appointment, Smile Brilliant came on my radar. 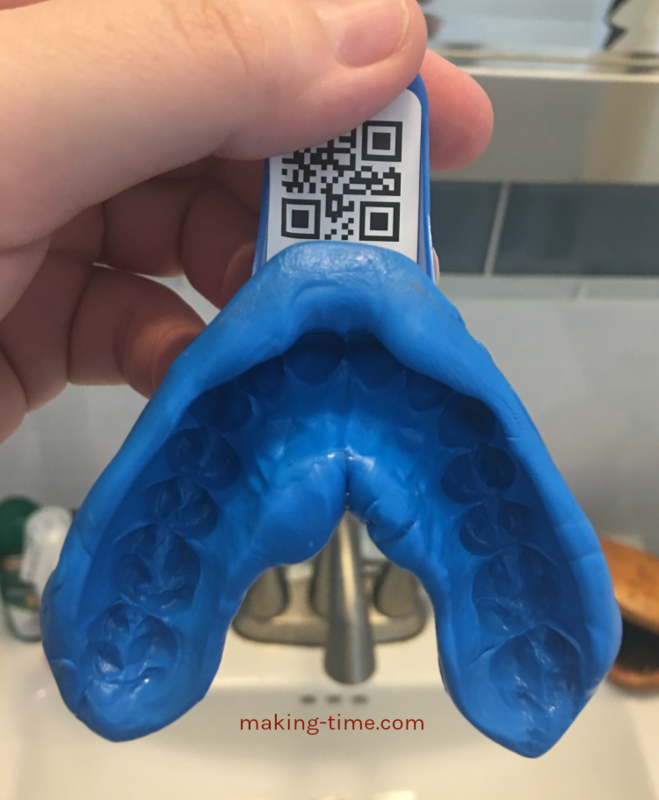 Spoiler alert – with Smile Brilliant I’ve been able to get the same professional results I would at the dentist, but without the cost or an actual visit to the dentist. The whole whitening process has been very easy, from getting the kit, creating my teeth molds, and the actual whitening. 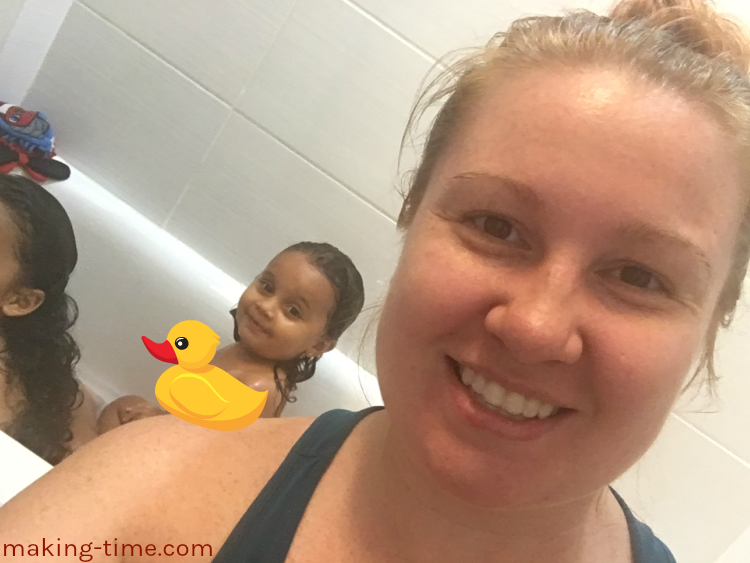 Even with as busy as my schedule is (hello, mom life), I’m getting it done. 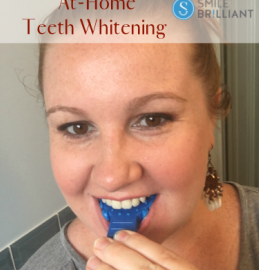 Obviously I love that I’m now getting results with the Smile Brilliant Teeth Whitening System, but my favorite thing is that I can whiten literally anytime I want. On any given day you may find me whitening my teeth while cleaning, cooking (this helps prevent me from snacking while I cook too, haha), walking my son home from school, while giving the kids a bath or taking a shower myself, and I’ve even taken it so far as to whiten while grocery shopping. Can you tell I’m wearing my whitening trays? The trays are clear and fitted to your teeth, so they’re hardly even noticeable. And you can still talk while the trays are in, so if you have to talk to someone while grocery shopping or yell at your kids for fighting (not that I would know anything about that), you can still do it. My favorite time to whiten is while I’m sitting at my computer working (I may or may not be whitening right now). When I sit down to get some work done, I zone in and get so focused that before I know it an hour and a half has flown by, and not once do I even think about whitening trays being on my teeth. It’s like a snap of the finger and today’s whitening session is done. Making Time tip: I suggest not whitening after eating Chinese takeout. I did this one evening and all that sodium content had me extra thirsty. I try not to drink anything while whitening, but that evening I just HAD to drink some water. Just saying. So, all this talk about this amazing at-home teeth whitening system and how I’ve actually seen real results, but I haven’t shown them to you. Here they are! 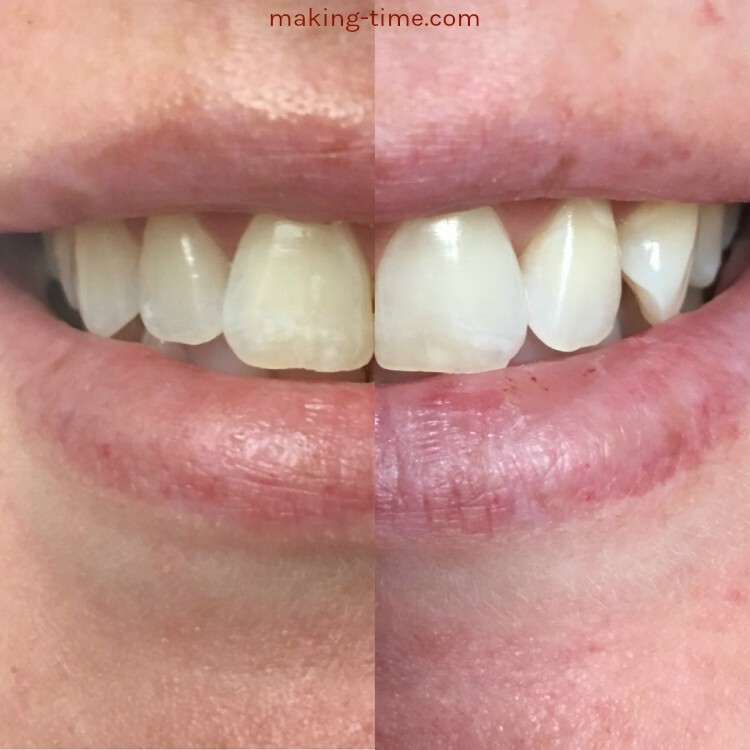 This is after just two weeks of whitening. The first week I was doing every other day for 45 minutes, just to get used to the product (it’s some powerful stuff), and then the second week I did every day for an hour and a half. You can actually safely whiten for as long as three hours each day, and I can only imagine how much better the results would be. The Smile Brilliant Teeth Whitening System retails for $139.99, which is much more affordable than going to the dentist. And with results like this, why go to a dentist and pay more for the same results? Another added bonus that’s great about Smile Brilliant, is that once you run out of the whitening gel that comes in the kit, you can simply order more whitening gel for the future without having to purchase a completely new kit. 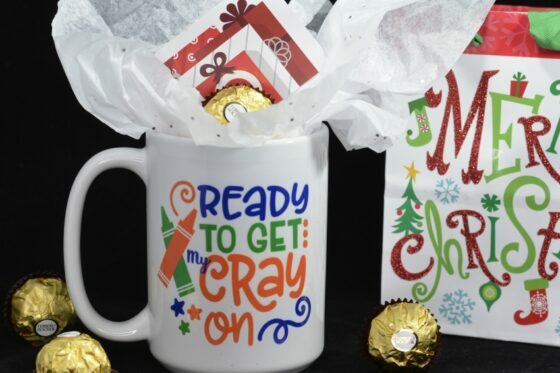 Do you have anyone on your holiday gift list who is trying to whiten their teeth? Or are you trying to whiten your teeth? The Smile Brilliant Teeth Whitening System would make a great gift for both him or her. 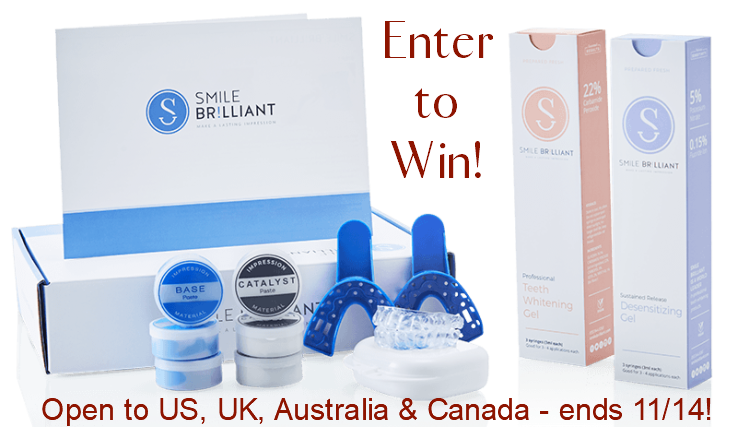 I have the opportunity for you to win a $139 credit to Smile Brilliant, exactly what you’ll need to purchase the complete Smile Brilliant Teeth Whitening System! 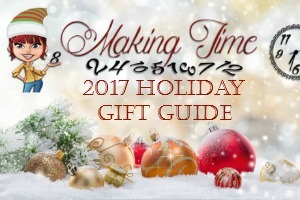 One lucky Making Time reader will win. 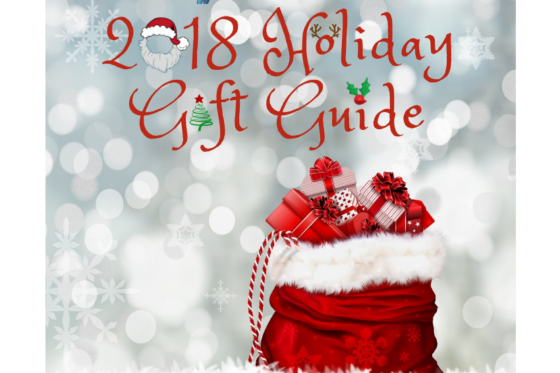 Enter by visiting the giveaway page. This giveaway is open to residents of the US, UK, Australia, and Canada, ages 18+ and ends on November 14, 2017 at 11:59 pm est. Random winner will be notified via email and must respond within 24 hours or prize will be forfeited. Sponsor is responsible for prize fulfillment. Don’t want to wait to see if you win? 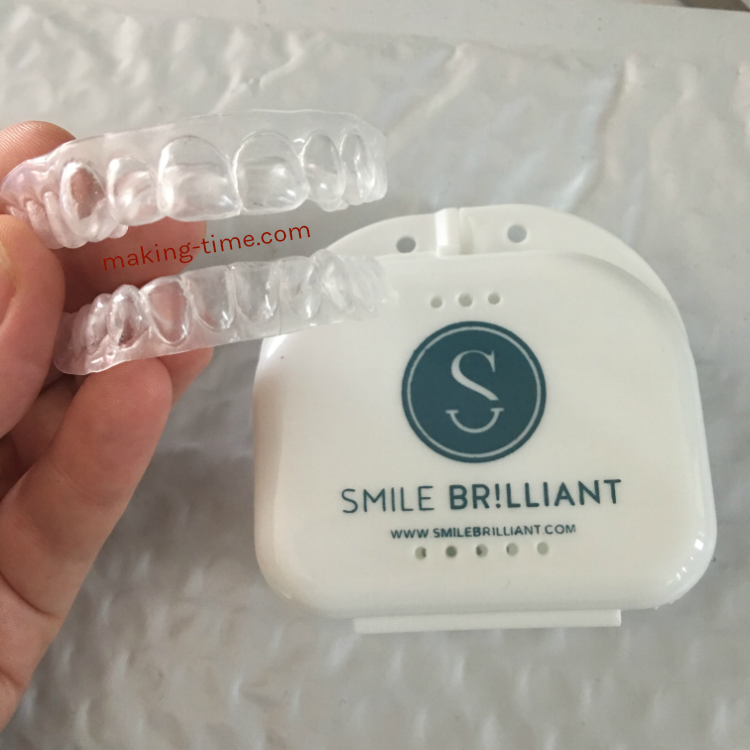 Visit Smile Brilliant to order now with coupon code makingtime10 and instantly save 10%! Are you trying to whiten your teeth? 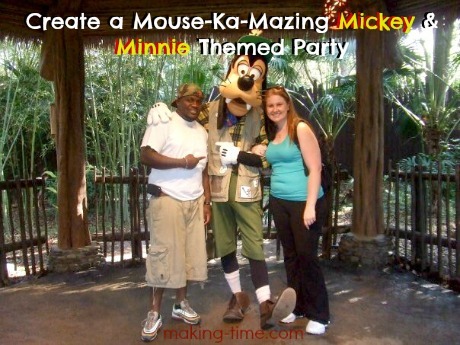 *I received a sample to help facilitate this post. As always, my opinions are still 100% my own and in no way influenced by the brand. Any claims or statistics should be confirmed with the brand. This post also contains affiliate links, in which I will receive a small commission for your purchase. Please see this blog’s full policies and disclosure here.